In today’s business world of hardly anything being one-of-a-kind, business owners must stand out from the crowd, and even the popularity of pot businesses don’t make them an exception. Pot may be a hot ticket item, but that doesn’t mean any particular shop will be as hot. Step one in setting yourself apart from competitor shops is consumers actually knowing you exist, and this task is accomplished through advertisement. 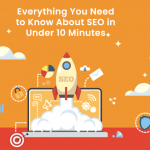 The landscape of advertising today is heavily reliant upon the internet, meaning SEO is something you want to develop a deep and meaningful relationship with if your shop is to be successful. So, grab a blanket and prepare to snuggle up with SEO. Did you know that pot shops outnumber the amount of Starbucks and McDonald’s in Oregon? In Colorado, there are over 600 dispensaries, and the number just keeps growing. This is the kind of abyss you’re dealing with when it comes to being found in most urban cities. It will only get harder to be found as more and more states legalize and push a booming pot market forward. Every store, even the most remote ones, are going to find themselves in a fight to obtain and retain customers. SEO is the tool to help you be seen in that fight for survival of the fittest. 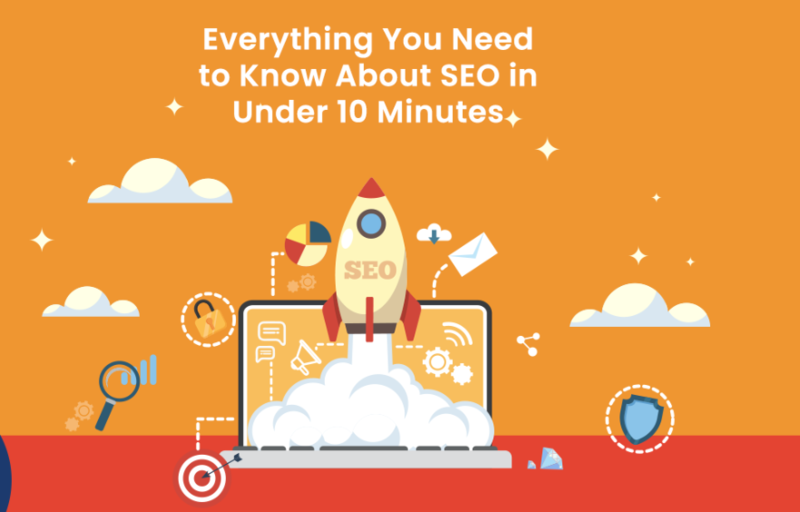 However, as SEO has become one of the most important advertising tools around, it too has had to adapt to changing technologies and the ways people search out goods and services. To the glee of almost every intelligent copywriter in the nation, SEO today focuses much less on such redundant keyword gibberish copy. Today’s SEO is all about focusing on the natural language search that one would use when asking a question on the internet. It’s important to recognize the driving force behind SEO switching gears. An article by Reefferr points to smartphones. Indeed, smartphones have changed the way in which everyday folks search and find things. Day you’re driving as you ask Siri to find the nearest gas station, restaurant, hotel, or pot dispensary. You don’t ask your smartphone for this info in broken sentences like, Joe – plumber – New York. No, you ask in as complete a sentence as possible to achieve the most relevant, expedient, and comprehensive results. The above doesn’t make SEO keywords irrelevant. It’s just to demonstrate that they’re not the only, much less most important, focus in today’s SEO landscape. You see how people search impacts SEO. Now, let’s look at how where they search for your cannabis business affects SEO. According to Pew Research, 68 percent of Americans use Facebook; 73 percent use YouTube; and 22-35 percent use other social media portals like Twitter, Instagram, SnapChat, LinkedIn, Pinterest, and WhatsApp. The majority of these users log in at least daily, making social media an ideal portal to engage existing and potential customers and direct traffic directly to your website. A big mistake is being afraid of negative reviews. Yes, some will leave complaints, but, if you have excellent customer service and products, then you’re likely to get far more good credit than negativity. Use legitimate directories, such as Yelp and Wikileaf, to boost your online presence, generate reviews, and get your NAP+W (name, address, phone, website) in front of customers. Be cautious, however, of sketchy directories and having misinformation within directories as these mistakes will hurt, not help, you. Do you take a paper map around with you? Likely not, and your customers aren’t likely to have one either as they’re searching for your dispensary. Having a Google Business Profile automatically indexes your NAP with Google, enabling it to show up in Google Maps. To be seen, you’ll need a consistent influx of quality content. Content should be relevant, timely, and useful. Blogs discussing legalization issues from several years ago don’t cut it. Readers won’t care and therefore won’t click on your blog. 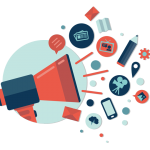 Use the portal to drive traffic by discussing current events, in-house promotions, legalities and educational content, products and services, industry news, and local events. If you know the basics of SEO, go for it. Just know that there’s no shame in taking professional help how, when, and where you need it. •Use image tags so that Google can index images. •Use header tags to organize and structure content in a logical manner. •Use applicable title tags on each page of content. •Use ideal keywords throughout content, but don’t go overboard or overthink them; remember, natural speech is key. •Research most applicable, trending key words for the niche and subject of content. •Use long-tail keywords, especially in blog content. •Don’t overuse a keyword; “pot” and “weed” shouldn’t be your default keywords for every single piece of content. •Title tags should have keywords. •Meta descriptions should be seductive enough to lure searchers. •Ensure content pages are user-friendly, meaning they should be searchable, not make visitors hunt down the information they’re seeking. Don’t ask multiple click-throughs of visitors looking for the fundamentals. •Optimize your website for speed. •Use Google Analytics to track the progress of your cannabis dispensary SEO strategy via traffic numbers, conversion numbers, and data showing you how visitors are searching through your site. •Link out to nonprofits, professional organizations, and guest blogs. • Just say no to buying links. It’s inefficient and often ineffective. You’d be better served to use the money to pay a popular food truck to add your location to his vending route. • Be a no-spin zone. Copycat spinning of articles doesn’t fly with Google. Keep posts fresh. • Pretend the phrase “keyword density” doesn’t exist. It’s irrelevant today. • Ranking should be on the back burner. It once was a forefront thought in SEO, but your focus nowadays should be on killer content. Use this guide to get your pot dispensary on top of its SEO game. Remember, if a consumer can’t find you, then they can’t buy from you.